Cindy believes that health and well being is a personal responsibility of every individual. She partners with her clients to identify and treat the root causes of their health issues using traditional acupuncture methods, including Dr. Tan’s Balance Method. She uses non-needle techniques with young people or anyone who is uncomfortable with needles. She takes a special interest in treating Veterans and those suffering from addictions as well as specializing in Facial Rejuvenation. She believes that nutrition plays a large part in everyone’s health and offers nutritional/dietetic counseling along with herbal medicine and vitamin supplementation. Cindy received her Master of Science in Oriental Medicine (M.S.O.M.) degree at Southwest Acupuncture College (SWAC) in Albuquerque, New Mexico. This is one of the most rigorous, and well-rounded, programs in the U.S. It is a four year program that requires over 3,100 hours of study in various Acupuncture modalities and Chinese Herbal Medicine. At least one-third of the required hours are spent in the supervised acupuncture/herbal clinics with direct treatment of clients. Over her course of study, Cindy interned at SWAC, treating a wide variety of clients; an Albuquerque Women’s Shelter, treating battered and abused women; and La Familia, treating foster children. 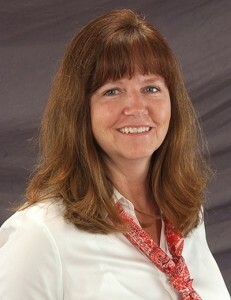 Cindy has been nationally board certified in Oriental Medicine (Dipl. O.M.) by the National Certification Commission for Acupuncture and Oriental Medicine (NCCAOM) ® since 2009. This board certification is an all-inclusive certification that includes Acupuncture, Chinese Herbology, and Asian Bodywork Therapy. The certification requires over 60 hours of continuing education every four years to maintain the certification. She is licensed in Colorado (L.Ac.) and maintains her Doctor of Oriental Medicine (DOM) license in New Mexico. Springs Natural Healing Co., is a clinic dedicated to helping clients realize their best health.